Howard Olsen is President and CEO of High Output Training Systems and is one of North America’s foremost sales performance experts. 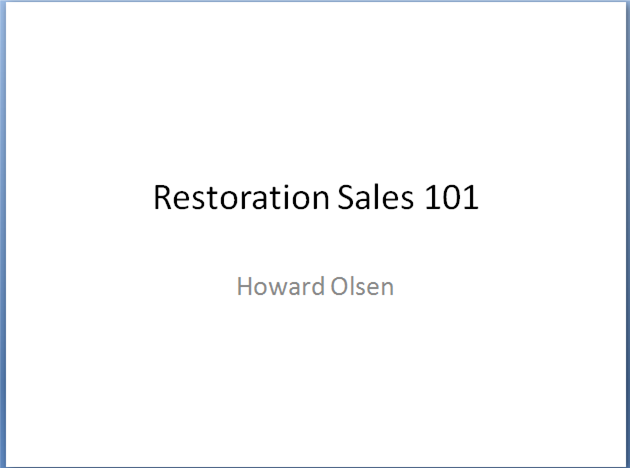 As a leading authority on the psychology of selling and peak sales performance, Howard’s gift lies in distilling the seemingly complex down to a simple process that can be easily learned and immediately applied. He’s a dynamic and engaging speaker that motivates his audiences not through empty hype but through concrete ideas which produce sustainable results quickly to inspire skyrocketing confidence. 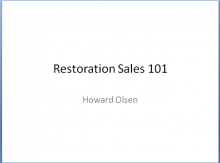 Howard will provide sales tips that will improve performance throughout your organization.